Who knows what calculations went into Barack Obama’s decision to “evolve” back to where he’d started on gay marriage in 1996. The timing is striking—after Joe Biden’s blurt on Sunday, there were a lot of pundits and activists arguing that Obama was now behind not only his vice president but most of the country on this issue. Yet he decided to make his move the day after an election, in the swing state of North Carolina, that showed to what extent this is far from a settled issue in many parts of the country, whatever the polls might say. One other thought: it’s notable to me that the White House decided to make the move in an interview, not a big speech. It seems quite possible that this was done to assuage Obama supporters who are wary of gay marriage, particularly African-Americans who resent comparisons of the gay marriage cause to the civil rights movement of the ’50s and ’60s. By not giving a grand speech around this, Obama reduces the odds of stoking that comparison. But here’s the main thing I’m wondering about the White House (and Chicago) calculations: to what degree was the decision to proceed influenced by knowing what tricky territory this is for Mitt Romney, too? Remember: gay rights was, arguably, Romney’s original flip-flop. Running for Senate in 1994, he promised to be more effective in supporting “full equality” for gays than Ted Kennedy would be—his pitch to gay voters was that he would be able to persuade more conservative Republicans to support gay rights in a way that a Democrat like Kennedy could not. At one point in 1994, he even said he had not ruled out supporting gay marriage at some point in the future. And he went around the country ridiculing the state he’d lived in for more than 30 years, reporting with an air of disgust what was transpiring back home. “Some are actually having children born to them,” Romney said of gay couples before a nationally televised address to South Carolina Republicans in February 2005. On another occasion, he quipped that Massachusetts had become “San Francisco East.” Gay marriage, he suggested, was a stain on his corner of the nation that would spread if it wasn’t stopped. But Romney didn’t stop there. He sought to amend Massachusetts’ anti-discrimination laws so a Catholic adoption agency could deny placements to gay couples. He backed away from his earlier advocacy of gays serving “openly and honestly” in the armed forces. And, after a flap over its mission, he eliminated the Governor’s Commission on Gay and Lesbian Youth, a panel that funded programs for gay teens and their schools. William Weld [a Republican] had started the groundbreaking commission a decade earlier in response to troubling research into teen suicides, something Romney had said in 1994 was a concern he shared. “He dealt a death-blow to a one of a kind program in the nation,” said David LaFontaine, who had started the commission under Weld and chaired it until 2000. 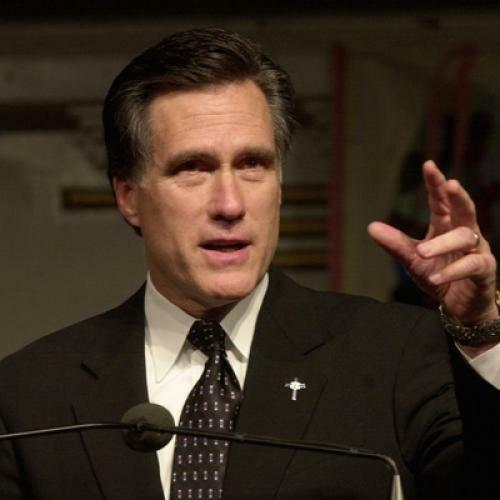 More recently, of course, there was Romney’s $10,000 contribution to the National Organization for Marriage in 2008, around the time that members of his church were making huge and pivotal donations to the Prop 8 effort in California. All in all, I don’t think this is something Mitt Romney wants to be talking about over the next few months, along with the requisite clips of his gay-friendly self in 1994. It’s truly remarkable to consider: just eight years ago, the Massachusetts court decision was credited with seriously undermining John Kerry’s chances. Now, another square Massachusetts politician finds himself probably wishing the issue had not come up—but from the other side. Call it the curse of San Francisco East.